Agents didn't give a reason for canceling the "mobile field force demonstration." EL PASO — The press release went out Monday, the reporters showed up Tuesday morning, then the U.S. Border Patrol abruptly canceled its Election Day "crowd control exercise" without immediately stating a reason. 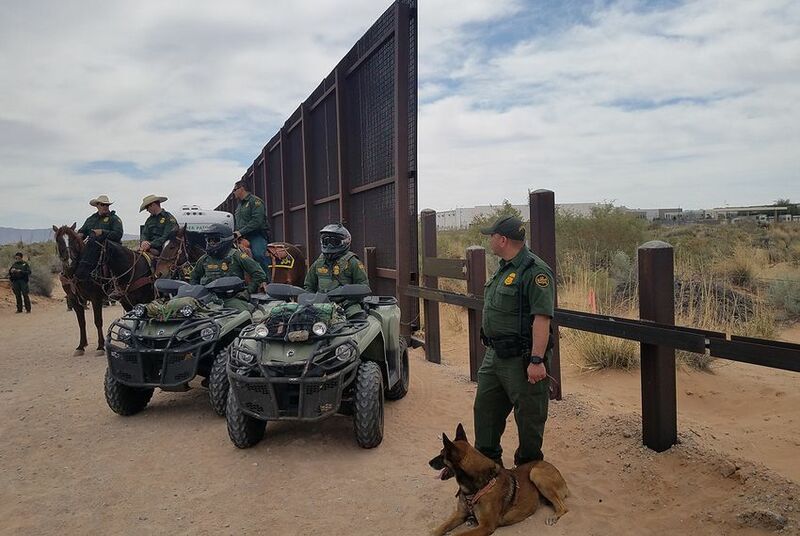 The agency had planned a "mobile field force demonstration" — the latest conspicuous show of force at the border by the federal government ahead of the midterm elections. President Donald Trump recently ordered thousands of U.S. troops to the border, warning of a coming "invasion" by a caravan of Central American migrants who are currently in southern Mexico. Last week, Trump also said he ended the practice of "catch and release" for undocumented immigrants — although shelters in El Paso and the Rio Grande Valley said Friday they continued receiving newly released immigrants. And he said the government plans to erect tent cities to hold undocumented immigrant adults and children. Three agents who greeted about a dozen reporters near the Paso Del Norte Port of Entry Tuesday morning declined to comment, saying they were not authorized to do so. A U.S. Customs and Border Protection spokesman in El Paso did not immediately respond to a request for comment. State Reps. Rafael Anchía, D-Dallas, and Mary González, D-Clint, the chair and vice-chair of the Mexican American Legislative Caucus, condemned the timing of the exercise Monday and called on the Border Patrol to cancel it.